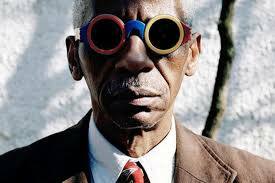 Roscoe Mitchell is an internationally-renowned musician, composer, and innovator serving as the Darius Milhaud Chair of Composition at Mills College in California. His virtuosic resurrection of overlooked woodwind instruments spanning extreme registers, visionary solo performances, and assertion of a hybrid compositional/improvisational paradigm have placed him at the forefront of contemporary music. Mitchell is a founding member of the Art Ensemble of Chicago, the Association for the Advancement of Creative Musicians (AACM), and the Trio Space. He is also distinguished as the founder of the Creative Arts Collective, The Roscoe Mitchell Sextet & Quartet, The Roscoe Mitchell Art Ensemble, The Sound Ensemble, The New Chamber Ensemble, and the Note Factory.